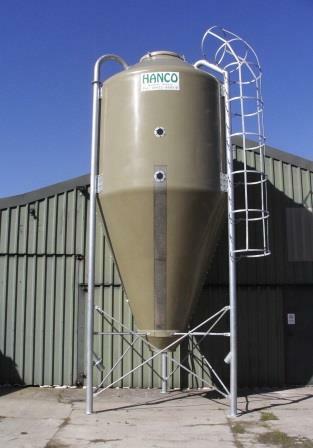 The Hanco range of glass fibre bulk bins are manufactured in Italy by AGRITECH. 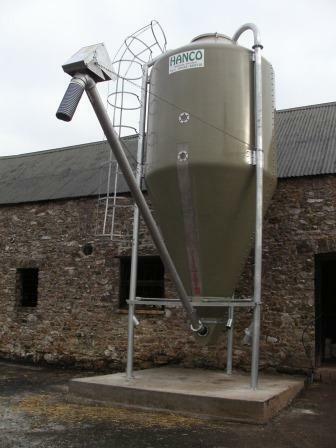 With over 30 year experience they are a highly specialised company manufacturing fibreglass silos for the storage of all kinds of bulk dry products such as feed, grain, milk powder, wood pellets, fertilisers, mineral salts. The silos are light but they show high mechanic resistance at the same time and they grant the stored products a high level of thermal insulation. A transparent strip in the silos main body allows immediate check of the product level. 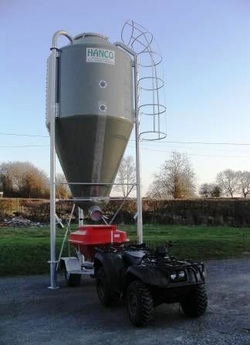 The range supplied by Hanco Agricultural are available in 186 RAL colours of manufactured to be extremely durable, easy to maintain and transport.